The European Commission is to host a special live-chat on its Facebook page this week to advise EU consumers of their passenger rights. The chat will take place tomorrow, Tuesday 28th April, with a panel of experts from Your Europe and MOVE answering any queries or concerns that travellers may have. 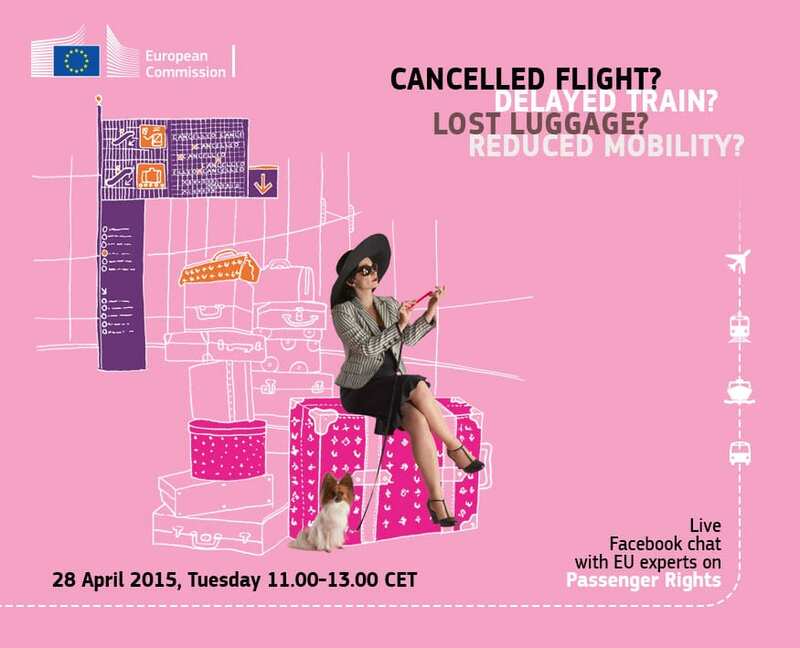 The live-chat will focus on the rights of passengers when they travel by air, rail, bus and ship within Europe, as well as the rights of passengers with reduced mobility. Those interested can submit queries and questions on the dedicated Facebook page for the event. The experts will be on hand between 10am and 12 noon (GMT) on Tuesday to post replies. For more information and to visit the event page, click on the banner below.